Here we find the embodiments of the polarization in the discipline in the persons of William Osler (1849-1919) and Henry Sigerist (1891-1957). Both were physicians, receiving, respectively, MD degrees from MgGill in Canada and the University of Zurich in Switzerland. And both were historians. Osler founded, in 1912, the History of Medicine Society of the Royal Society of Medicine. 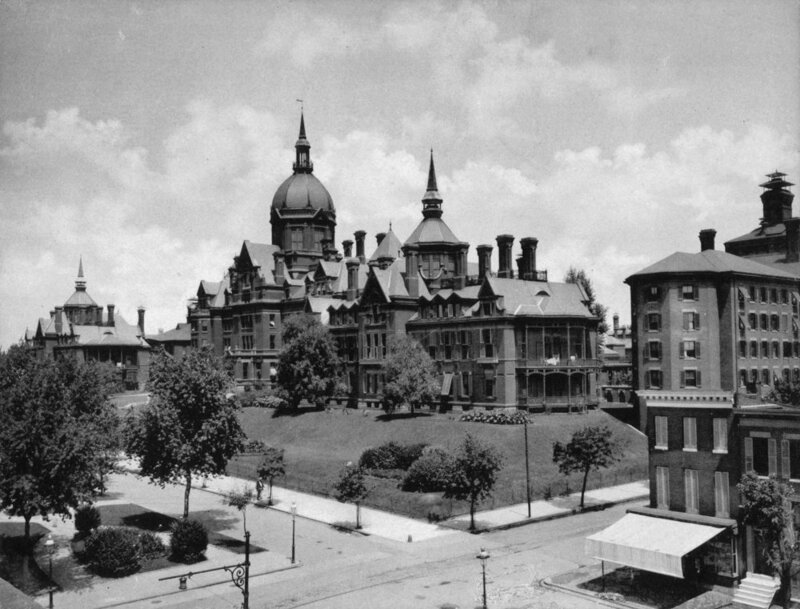 Sigerist headed the Institute for the History of Medicine at Hopkins from 1932-1947. But the contrasts in their careers presaged the present schism in the field of study. Osler became perhaps the most preeminent ‘bedside’ physician and clinical teacher in American history. His focus on medical history was as inspirational lore, a catechism for professional integrity. Sigerist was not a practitioner but a social theoretician. For him, medical history was to be mined for policy initiatives. "We are a group of medical historians, scholars in other fields, and others interested in the history of health...who give special attention to the issues of class, race, ane gender and/or use Marxist, feminist, and related clinical mehodologies in the analysis of medical history." The AAHA is open to ‘others’. The AOS wants ‘professionals’ and to join, one needs two letters of recommendation from existing members. The Sigerist Circle is, I would venture, open but self-selective. The Bulletin of the History of Medicine, published by Johns Hopkins University Press for the AAHM, is a major academic journal, and characteristically promotes articles that are mostly rooted in social science, often with a focus on reinterpreting the record and/or social injustice. The AOS, a much smaller organization, does not have a publication of similar stature. My own exposure during a clinical career as a physician, was to the biographies and quirky vignettes about this or that historical practice which pop up in medical journals from time to time. As I took on a broader reading, in textbooks and journals, I discovered a few things early on about the academic literature. Firstly, the language of social science can be frustratingly obtuse. One suspects that some of the, often poorly defined, terms are intended as shibboleths, employed to gain entry into publication. Also, it seems that many articles with explicit or implied political points of view, as opposed a reportorial perspective, are taken ex cathedra. Returning to the role of physicians vs academic historians, what’s wanted is a collaboration. There are good reasons for this, but barriers to overcome. See the Kushner article for a detailed account. • Humanists [Social Scientists] are funded by salaries; health scientists by grants and fees. • Historians prefer solitary research, (collaborative papers are devalued by tenure committees); medical researches work in teams. • Vocabularies, even citation methods are distinct: footnotes for historians are for evidentiary discourse; references in medical journals serve to legitimate claims. • Journal editors in each camp value differently the nature of evidence. Academic history journals discount biomedical data and medical journals discount social science methods when such is offered as the major scaffold of a thesis. That said, each ‘culture’ should continue to play to its own strength. It took the likes of Max Wintrobe MD, the Father of Modern Hematology, to write and edit the definitive scientific history of his field in Blood, Pure and Eloquent. And it took the likes of Michel Foucault, philosopher and historian of ideas, to write an original and erudite The Birth of the Clinic, An Archaeology of Medical Perception. Another informative exposition on this topic is the chapter in Locating Medical History (Huismann and Warner, Johns Hopkins University Press, 2004) entitled Using Medical History to Shape a Profession, The Ideals of William Osler and Henry E. Sigerist by Elizabeth Fee and Theodore M. Brown gives a thorough accounting of medical history as ‘secular religion’ (Osler) and as ‘Romantic socialism’ (Sigerist). For an accessible survey of the history or medicine by a physician adept at narrative non-fiction see History of Medicine by Jacalyn Duffin. Medical historians and the history of medicine. You can check them out on our Amazon affiliate link, as well as other History of Medcine books. Leave a comment, email us at info@medicalhistorytour.com or visit medicalhistorytour.com.